Tonight, as the sun sinks below the horizon, the world’s most powerful digital camera will turn its gleaming eye skyward once again in its 5-year mission to map the southern sky in more detail than ever before. On August 31, the Dark Energy Survey (DES), with an international collaboration of more than 200 scientists, officially began the largest galaxy survey ever attempted. The main tool of the survey is the 570-megapixel Dark Energy Camera, the largest digital camera in the world, with five precisely shaped lenses (the largest is nearly a yard across!) that deliver sharp resolution across its entire field of view. It is able to see light from more than 100,000 galaxies up to 8 billion light years away in each snapshot. This impressive camera was built at Fermilab in Batavia, Illinois, with components—data acquisition electronics and control software—designed and constructed at the Loomis Laboratory of Physics in Urbana by a team of particle physicists under the direction of Professor Jon Thaler. The camera is now mounted on the 4-meter Victor M. Blanco telescope at the National Science Foundation’s Cerro Tololo Inter-American Observatory in the Andes Mountains in Chile, where excellent atmospheric conditions will make possible the sharpest resolution pictures ever seen in a wide-field astronomy survey. Over the next five years, a team of physicists from around the globe will use this remarkable instrument to try to answer some of the most fundamental questions about our universe. The survey’s goal is to find out why the expansion of the universe is speeding up, instead of slowing down due to gravity, and to probe the mystery of dark energy, the force believed to be causing that acceleration. The DES will map one-eighth of the sky (5,000 square degrees), collecting color images of 300 million galaxies and 100,000 galaxy clusters and discovering 4,000 new supernovae. Though it will not be able to see dark energy directly, by studying the expansion of the universe over time, the survey will give scientists the most precise measurements of the properties of dark energy. All DES digital images will be stored and processed at Illinois’s National Center for Supercomputing Applications (NCSA). Research scientist Robert Gruendl of the Department of Astronomy at Illinois, together with Don Petravick of NCSA and other collaborators, has developed and will operate a data management framework for processing, calibrating, and archiving the massive amounts of data—petabytes over the lifetime of the survey—that will be collected for the DES. "NCSA provides the networking, computing, and archiving capabilities and sophisticated tools that this type of data-intensive science requires,” said Petravick. "This allows astronomers and physicists to focus on analysis of science-ready data, rather than spending their time on preliminary processing or technical issues." 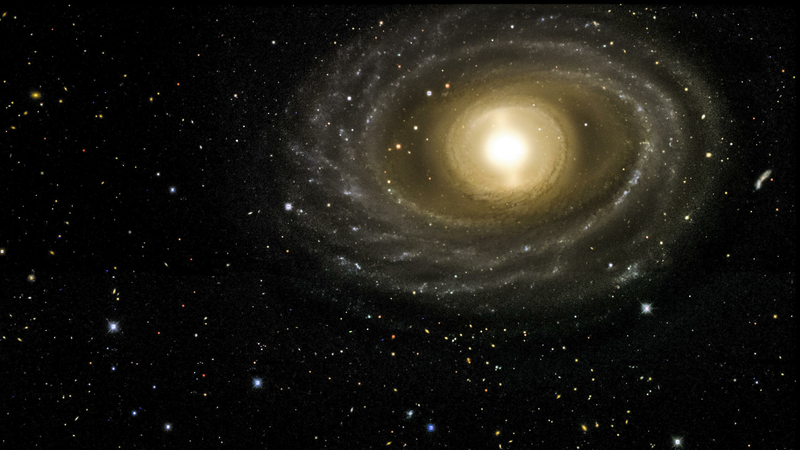 Nigel Sharp, Program Manager for NSF's contributions to the DES, commented, "The data management project funded at the NSF-supported NCSA will allow astronomers to tame the flood of data from the Dark Energy Camera with new efficiency. The data will be turned into high-quality, science-ready products in a routine, production-level operation, enabling scientists to make new breakthroughs in their research into dark energy and other astronomical mysteries." Counting galaxy clusters. While gravity pulls mass together to form galaxies, dark energy pulls it apart. 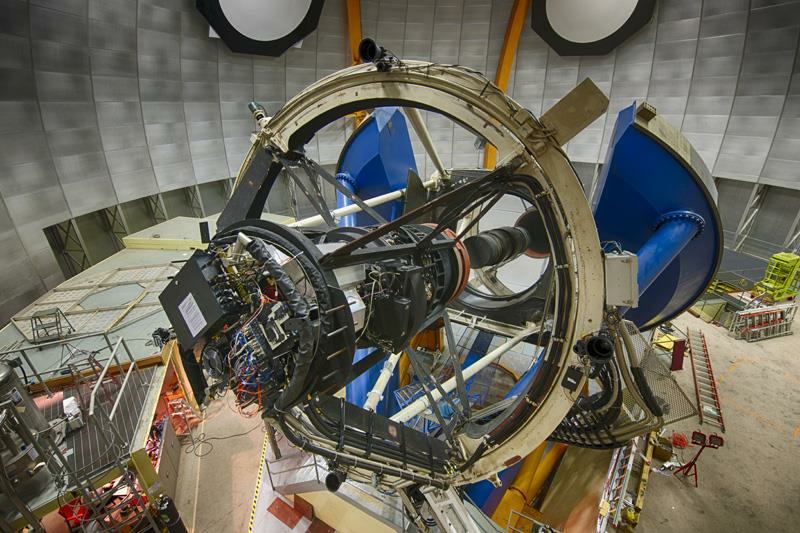 The Dark Energy Camera will see light from 100,000 galaxy clusters billions of light years away. Counting the number of galaxy clusters at different points in time sheds light on this cosmic competition between gravity and dark energy. Measuring supernovae. A supernova is a star that explodes and becomes as bright as an entire galaxy of billions of stars. By measuring how bright they appear on Earth, we can tell how far away they are. Scientists can use this information to determine how fast the universe has been expanding since the star’s explosion. The survey will discover 4000 of these supernovae, which exploded billions of years ago in galaxies billions of light years away.